Our mission is to provide the best care to patients on a hospital campus committed to research and innovation applied to clinical healthcare. Vall d’Hebron Barcelona Hospital Campus is made up of four organizations: Vall d’Hebron University Hospital (with its three specialist centres: General; Maternity; and Traumatology, Rehabilitation and Burns), the Vall d'Hebron Research Institute (VHIR), the Vall d’Hebron Institute of Oncology (VHIO), and the Multiple Sclerosis Centre of Catalonia (CEMCAT). Vall d’Hebron University Hospital is the largest hospital in the Catalan Health Institute (ICS) and therefore the largest in Catalonia. It includes all medical specialisations and most surgical specialisations for adults, above all the most complex and serious. The General Hospital houses the first day hospital specifically for haematology in Spain. Providing healthcare from birth to adolescence. Integrated into Vall d’Hebron University Hospital, it enables children to transfer to being adult patients within the same hospital setting. The Maternity and Children’s Hospital specialises in paediatrics, obstetrics and gynaecology and is a leader in oncology, congenital heart defects and neonatology. It is a leading hospital in the treatment of polytrauma, neurotrauma and acute spinal cord injuries. 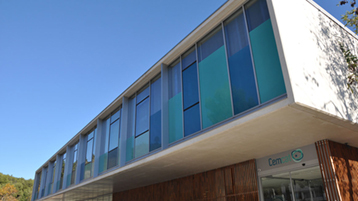 It is also the only leading centre in Catalonia for treating severe burns. Specialists in orthopaedic surgery, plastic surgery, rehabilitation, neurosurgery, anaesthesia and intensive care medicine all work here. Vall d'Hebron Research Institute houses more than 60 research groups dedicated to researching a wide range of diseases and improvements in healthcare to be applied to clinical practice in the Hospital. 70% of the institute’s main researchers are medical and nursing staff, who carry out day-to-day consultations in the laboratory. The Vall d’Hebron Institute of Oncology (VHIO) is a centre specialising in cancer research and treatment.Over 200 researchers and healthcare staff are dedicated to understanding the biology of cancer, to find solutions and apply ever-more personalised therapies. There are four lines of activity: preclinical, translational and clinical research; and core technologies. 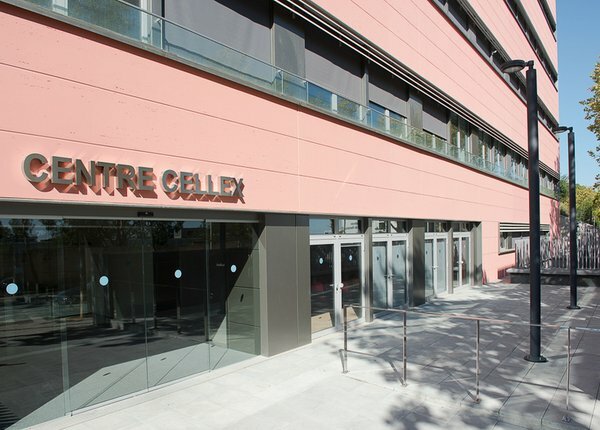 CEMCAT has 2,000 m2 dedicated to people affected by multiple sclerosis and other neurodegenerative diseases. Its mission is to advance diagnosis as much as possible, and for this reason they have the top specialists in neurology, neuroimmunology and neurorehabilitation, in addition to physiotherapists, assistants and occupational therapists. The clinical laboratories, the Biobank and the Blood and Tissue Bank are all support centres that complement the work of the institutions at Vall d’Hebron Barcelona Hospital Campus. Find out about what they do and their location on the hospital campus.